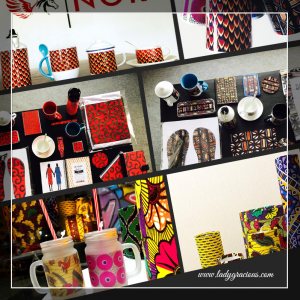 HOME > Did You Know,PRINT LIFESTYLE > Afro dolls, What do you think? 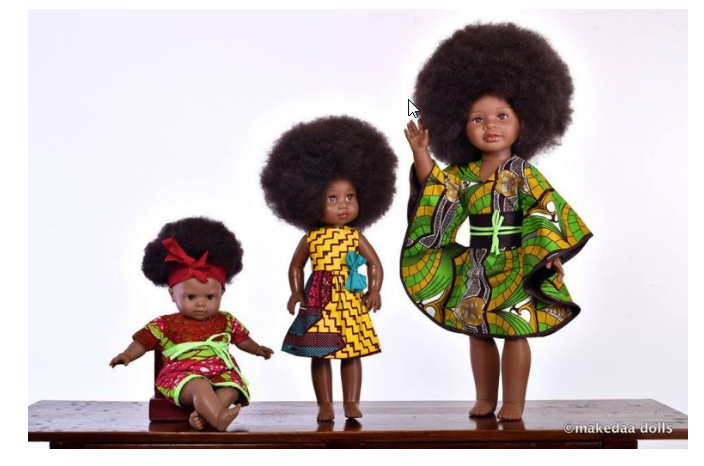 Afro dolls, What do you think? 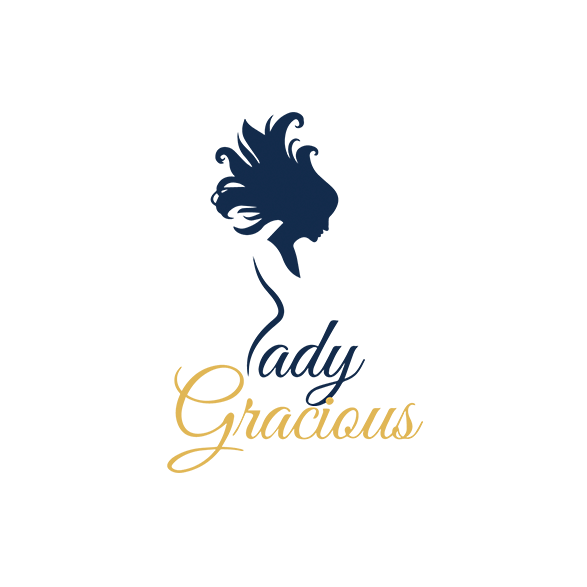 “MAKEDAA” BECOMES THE SYMBOL OF ACCEPTANCE AND POSITIVE IDENTIFICATION. 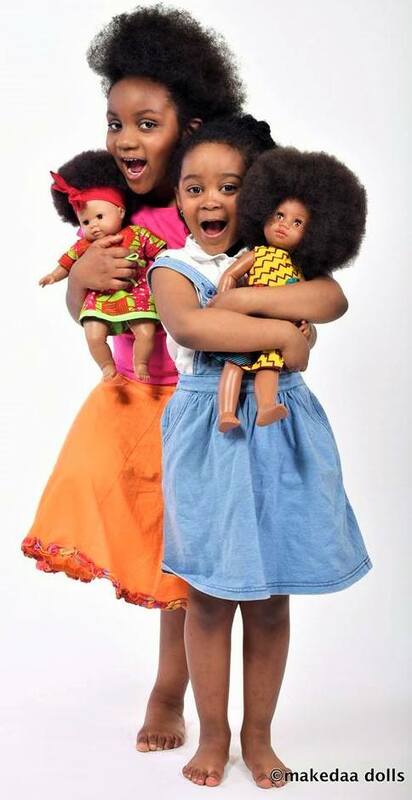 THIS DOLLS ARE DESIGNED NOT ONLY WITH BLACK SKIN BUT ALSO WITH BLACK FEATURES, HEALTHY SILHOUETTE AND LUXURIOUS AFROS FOR OUR PRECIOUS LITTLE ONES TO FEEL RECOGNIZED, BEAUTIFUL AND LOVED. Gradually the gaps are being closed. When we can feel dignified of who we are and what we do irrespective of where we come from. 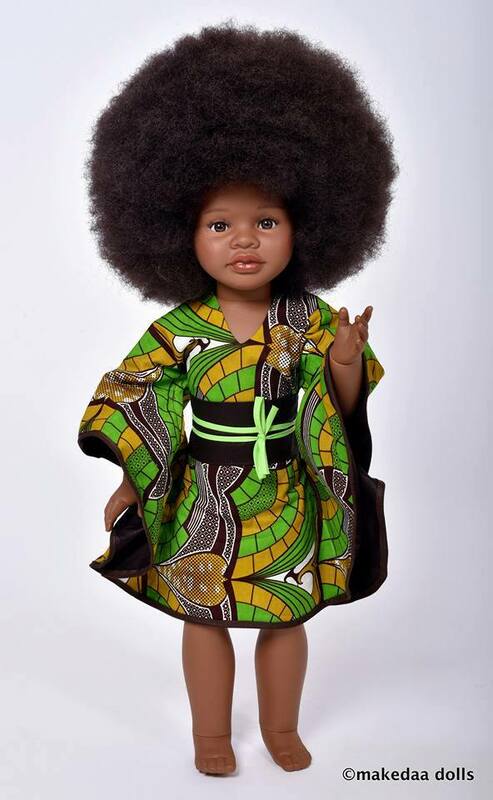 This generation of babies that will have this dolls for friend will definitely find it normal to wear natural. Click here for your dolls. These dolls are so cuuuuteee. Awwwwww.